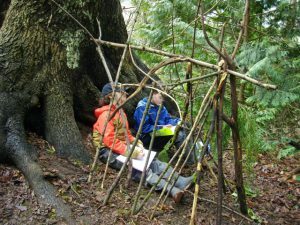 Every year, our home learners and their families experience an outdoor camp adventure at Sasamat Outdoor Centre on Sasamat Lake, just north of Port Moody Town Centre. Families can participate in a range of outdoor activities in a safe, supervised wilderness setting with easy access to the hiking trails and recreational opportunities of Belcarra Regional Park and Indian Arm Provincial Park. The centre’s programs reflect the firm belief that quality outdoor experiences can be a key factor in an individual’s personal development.